My dad has a 135is and I really like it. Throw an LSD in the back and it’s basically a 1M lite. 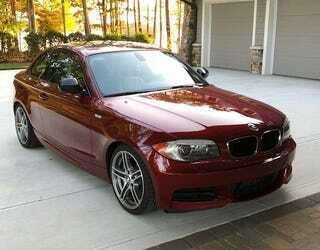 I was looking for a vermillion red 1 series because I used to have one and for Michigan is making me want it back. This 135is is probably the color combo I would want if I was ever able to get a 135is. I’m usually not a fan of red cars, but I love BMW’s Vermillion Red Metallic. The seller says that only 4 135is’s were sold in the color combo, which I believe as I’ve never seen another in this color listed for sale. The only downside to this 1 is the fact that it’s a DCT, but then you do get perfect downshifts so you can hear all the pops and crackles on downshifts through your BMW M titanium exhaust. That exhaust might be a little excessive as my neighbor across the street can hear when my dad starts his car.